Passive income is created by setting something up once and letting it earn on auto-pilot. A passive income example is buying stocks or bonds, which pay you dividends. There are a lot of ways to do this both online and off. 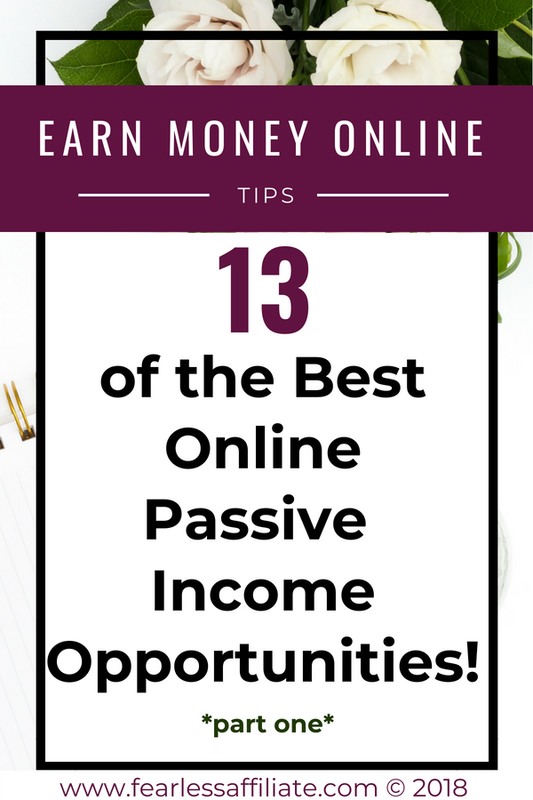 Look at both parts of this post for some smart passive income ideas. I am pretty sure that means that we could all use some extra cash. Now is the time to investigate passive income and see how you can set up multiple streams of income for yourself. Earn extra income from these money making ideas that work for you. 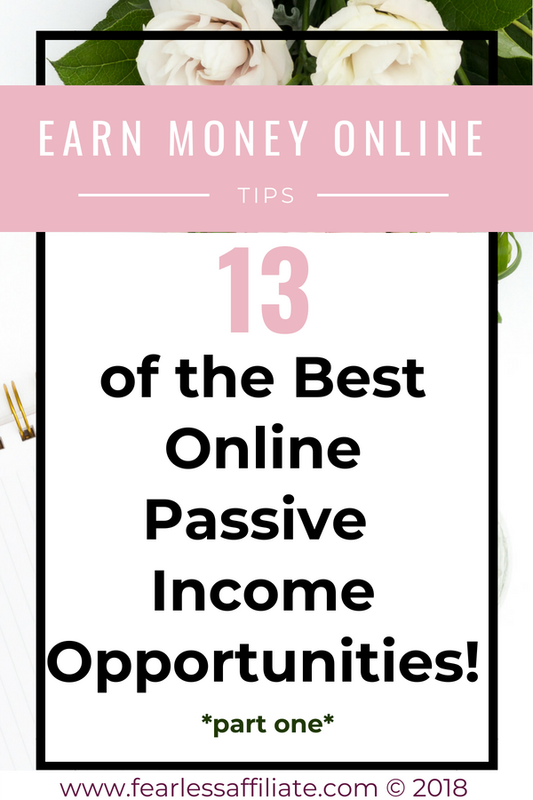 These 13 tips are for setting up passive income online, which is different from the ones in my previous post on 17 passive income strategies, some of which can be done in real life, like driving for Uber. What sets passive income apart from residual income streams is the ability to earn while you sleep or while on vacation. And allow you to do other things while adding to your bank balance. This is supplemental income, but if you create enough streams of income, you can replace the income from your job. As well, if you are creating online course that you are promoting online with Pinterest or from your website (or both! ), you can generate passive income for many years. So no matter what is going on with the economy or your job, you can bring in that extra money to enjoy life more, pay for vacations, buy new items for your home or just make your life easier in general. You can implement as many of these ideas as you want, and you should. Multiple streams of online income is the goal here. $100 here, $50 there…it all adds up. I am not going to talk about big finance options, like selling stocks and bonds or bitcoin. I leave that to experts. 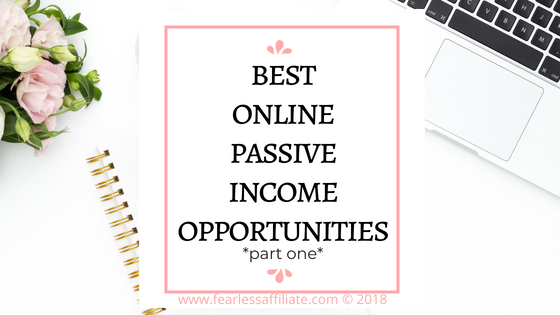 Well of course the number one way to set up many of the passive income opportunities on this list will be much easier if you have your own website or blog. Niche describes the main topic of your website, but many people have “lifestyle” blogs which allow them to write about whatever they want instead of one specific topic and sub-topics. My friend Ana from the website Happy Nifty Life has allowed me to link to her income report post “How I made $1040.85 in my 11th month of blogging”. 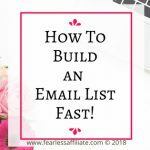 Ana’s report also confirms what is in this blog post, which is that even for busy people who cannot put a lot of time into building an online business, you can still make extra money. Ana is super busy with small children but still finds some time weekly to add to her passive income stream blog. You should like It enough to learn everything that you can about it. How you feel about your niche will come across in your writing about it. 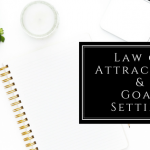 Set up your blog, write (niche) content, promote your own course, place ads, sell physical products that you have created, and promote your YouTube channel are all income opportunities integrate well with a blog. Don’t have an extra room for a home office? No problem! You can set up your office in any nook or cranny in your home…or even a closet. Really, you are only limited by imagination. Look at these 55 Small Home Office Ideas in this post by my friend Andie from The Mummy Front. There are some awesome ideas on how to squeeze a small desk into some vacant space in your home so that you can get started earning some sweet passive cash. Be aware that it is mandatory for some affiliate programs that you have a website. 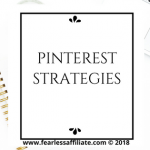 However many people just set up a free website and then promote the products another way, like on Pinterest or Facebook. Affiliate products are products that relate to a specific niche. If you have a health website, you may want to promote products like supplements. You sign up to programs that let you promote the supplements, making you an “affiliate”. This allows you to earn commissions on the sale of the product(s). If you have a niche website, you can find affiliate products for your niche. 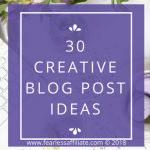 Write blog posts that promote those products and not only help people who are searching online for reputable products but also open up the internet for people who are not aware of the products that you are promoting. 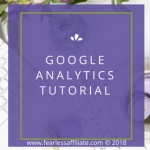 Carly from Mommy On Purpose has an excellent course on Affiliate Marketing for Bloggers that can help beginners get off on the right foot, as well as anyone who has tried affiliate marketing and failed. 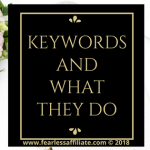 Carly shows how to use affiliate links the right way and uses examples from her “mommy” blog, proving that you can make money in a niche that is not blogging about blogging. There are strategies for using affiliate links in blog posts, emails, and courses. 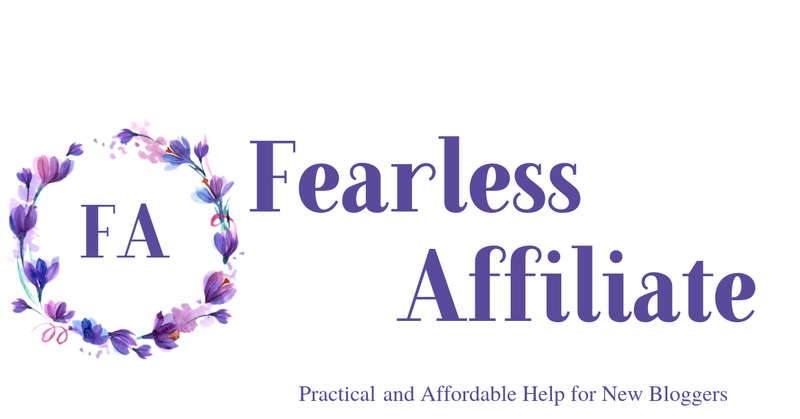 I highly recommend this course for anyone interested in upping their affiliate game. Many people who are searching for items on the internet may only be aware of a few products related to their search. Your review posts can introduce new visitors to hundreds of products that they did not even know existed. Not all products are reputable, so use your own judgment when choosing products to promote. If it seems cheesy or scammy to you, it will probably seem that way to your audience. Only promote quality products that you would or do use yourself. There is no benefit to promoting junk if you are trying to win more people to your website. Feel free to use the banners or sidebar ads for quality affiliate products, just be careful about how many you have. Get a friend to check your page loading speed and discard some ads if your website lags. 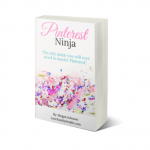 You can also promote affiliate products on Pinterest, creating pins that lead to landing pages or your blog posts. Best practices can be found on this page. Of course the world’s largest online retailer should have a few products that you can also write posts about and promote. Note: The Amazon affiliate program is not available in all areas of the world. I recommend having a local country associate I.D as well as an Amazon.com associate I.D so that you can promote the US Amazon site, since many shoppers online shop the .com site. Check their catalogue of items, find one that is helpful and useful to your audience and then either buy and try it out for that type of review or go online and research it for another type of review. but if you are doing a strictly research review, be sure to look at a lot of reviews before writing yours, to get a well-rounded idea of the product and what it can do for people. Place a link on your website to the product. Cookies last for 24 hours, so even if a person clicks your link but does not buy that product, if they buy anything in that 24 hours, you get the commission, and Amazon does all the work. compared to commissions from many private affiliate products, so it is in your best interests to be promoting lots of products. I have read several blog posts and newsletters that seem to think that promoting the lower priced items (under 15 bucks??) makes it easier to make sales, since people can use the item to top up items that may already be in their cart. Your mileage may vary. Clickbank is the world’s largest promoter of (mostly) digital download products. People love digital downloads because there is no waiting. Once you download you can start using it right away. There is a learning curve to Clickbank which is why I linked to my post above. 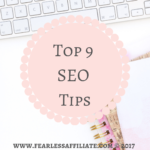 Choosing products can be kind of hit or miss but if you poke around the website and spend some time really looking at the products, you can some gems to promote. As well, being on the site often means you will see new products quicker. I love ShareASale! ShareAsale is an affiliate marketing network and is part of Awin, another affiliate product website. They have some truly awesome products for promotion in pretty much any niche category that you can think of. Want to promote NFL clothing? They have it. Home decor? Yup. Health products? Yes. Kids clothing? You bet. SAS has physical products as well as digital, so you can promote clothing, automotive parts, food (live lobster anyone? ), volleyballs and other sporting equipment. 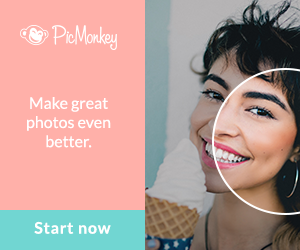 They have over 4500 merchant vendors, including Pic Monkey (photo editing app), Tailwind (Pinterest scheduling app), and Grammarly (grammar app). Signing up does not take long. Getting approval for some of the products can take a few days and up to a week, so watch your email and get promoting! Okay, that is it for part one. 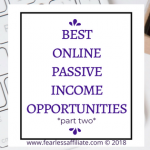 Be sure to check out Part Two of Best Online Passive Income Opportunities. The more streams of income you have, the quicker you can have financial freedom. Extra income is always welcome, and especially if it is “set-it-and-forget-it”. Happy Blogging and follow me on Pinterest! Great stuff, I’ll have to keep these in mind the next time I’m looking for ways to make some extra income. And thank you for visiting us today Emonne! I love the idea of promoting products – especially the ones I’ve used myself and I can really share my experience. It’s the best way to go if you don’t have much money to invest in your business, and you need some extra cash. Thank you for the information about different platforms where we can find products! You are welcome and I wish you the best! This is a very great post about learning about affiliate marketing and it is exactly what I was looking for. Your post about click-bank was helpful the most to me in terms of joining them as an affiliate and couldn’t get around signing up fully. I have actually book marked your click page post. I love ClickBank and they have such a broad variety of categories of digital products to promote. Good luck! Great article on passive income. So many people are having a hard time believing that the passive income is indeed possible. Thanks for sharing such a detailed information. Very informative article! I knew about a few but never heard of shareasale! Will have to give that one a try! Have a great day and keep it up! Happy to help. 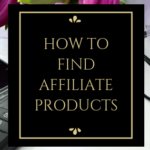 There are more places to find affiliate products, but I find that between Amazon, ShareASale, and Clickbank there are plenty of products that are perfect for beginner affiliates. Hello and thank you for visiting us today!